For the love of all washi tape, get started on these DIY projects. 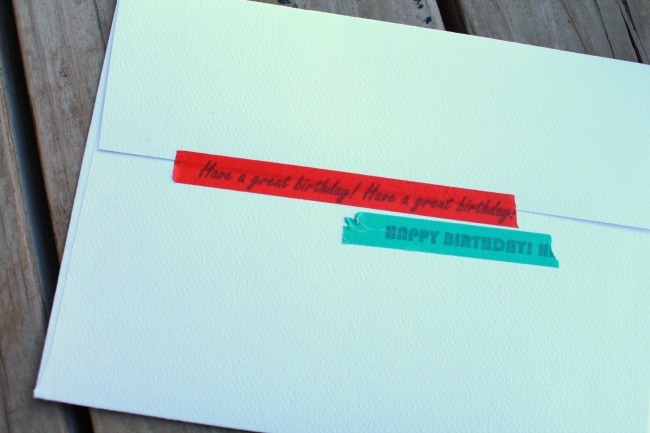 Washi tape is easy to fall in love with, quick to decorate with, and painless to remove. There are so many different patterns and colors to choose from, that sometimes picking your type of tape can be the hardest part! 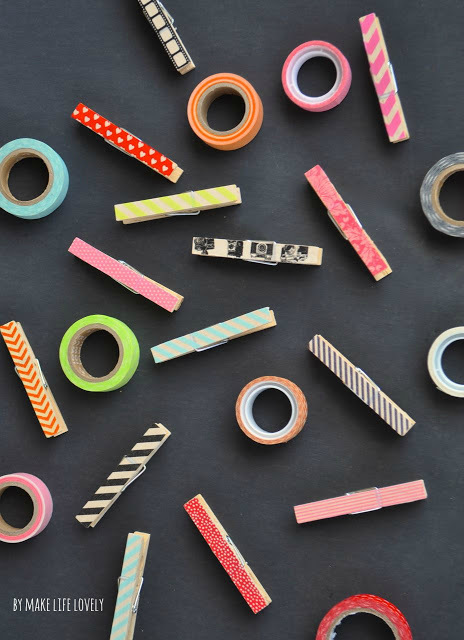 If you’re looking for a simple step project to take on this weekend – or maybe you’re not a decorating guru and don’t know the difference between a glue gun and a glue stick, washi tape is here to help. 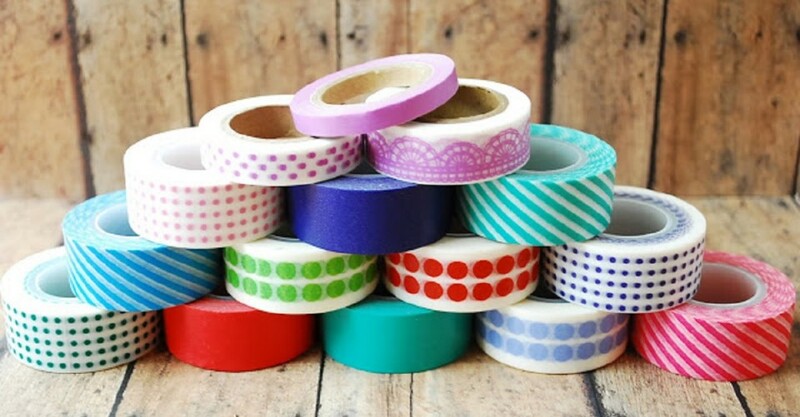 Obsess over these 11 washi tape decorating ideas that will add some personality to anything and everything! 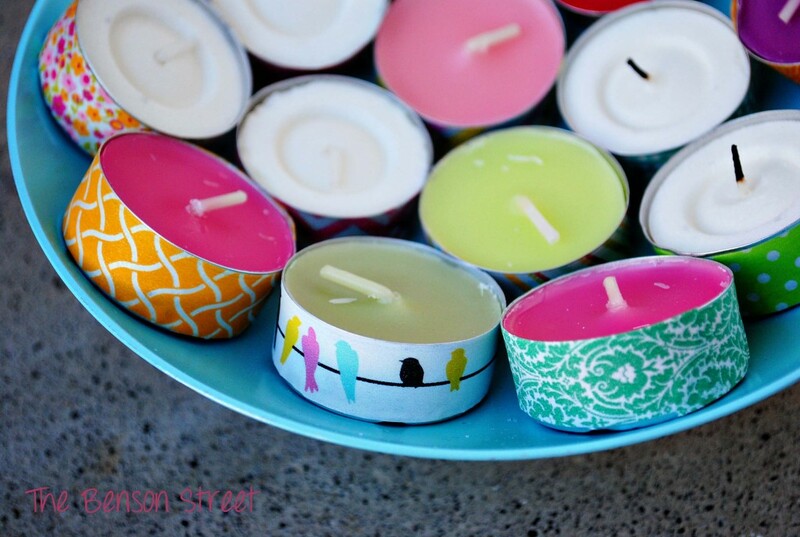 Tea light candles are a small and inexpensive item that can easily be dressed up. Wrap some washi tape around the outside to brighten up your mini decor! Hang your papers, photos, cards, or clothes up with these decorative washi tape clothespins that only take about 45 seconds to make! 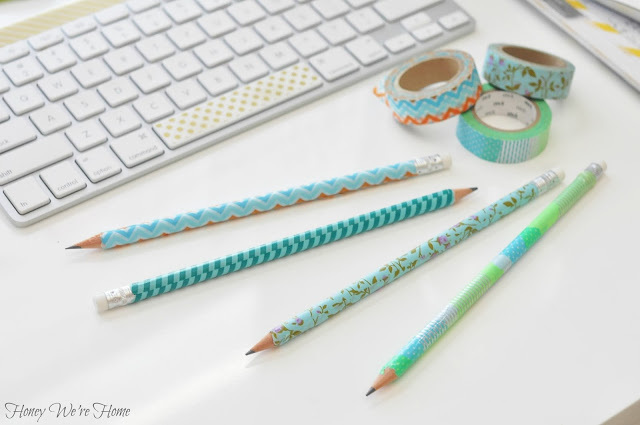 Add a splash of color and pattern to your daily tasks by decorating your keyboard and pencils with washi tape. 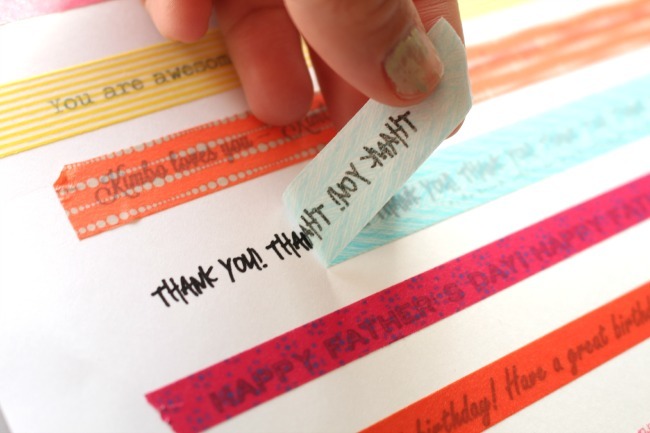 Put words on your washi tape by laying the tape over printed out font, then press, peel, and tape onto cards, gifts, or anything else! 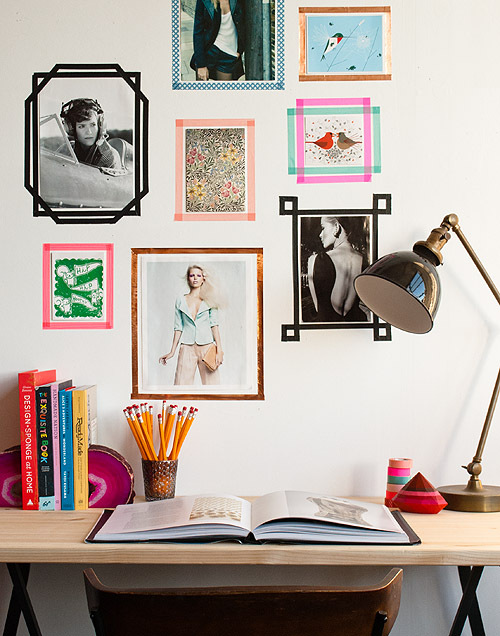 Create a wall gallery by framing your photos, postcards, or artwork with decorative washi tape. Power cords can be messy to deal with and ugly to look at. 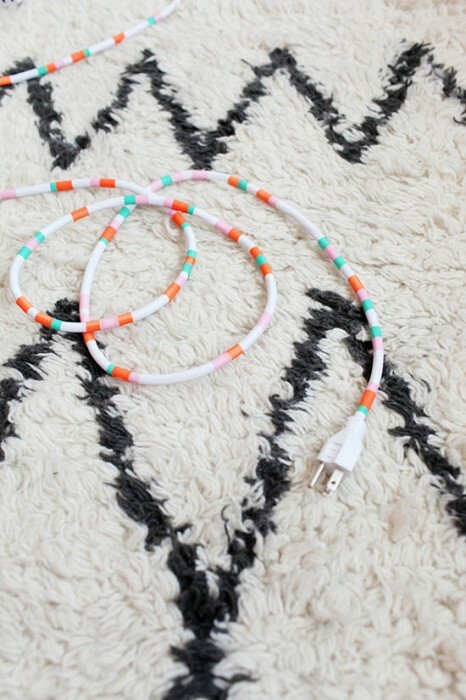 Customize your power cord with a colorful washi tape pattern to make it less of an eyesore. Multicolored washi tape coasters are easy to make and festive to use. Just be sure to put a coat of Mod Podge over top to make it last! 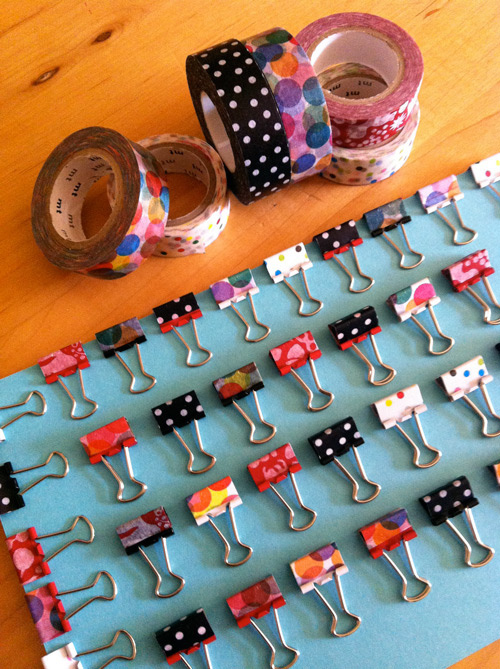 Mini binder clips are the perfect fit for washi tape. 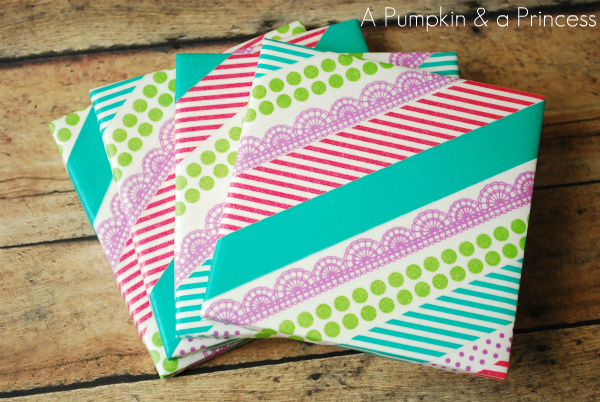 Create an assortment of colors and patterns to clip together your papers! A string banner of mini flags adds a touch of fun to any card, sign, or invitation you’re crafting. 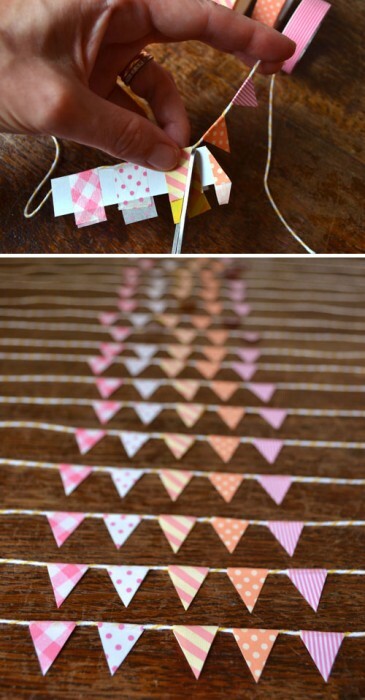 Use this bunting template to create the same flag banner below. Misplacing, trading, and borrowing phone chargers is a common activity. 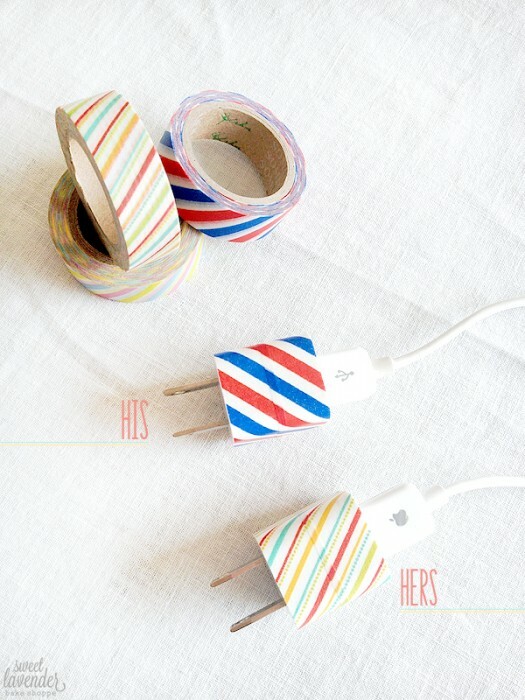 Never lose track of your power adapter by personalizing it with washi tape! 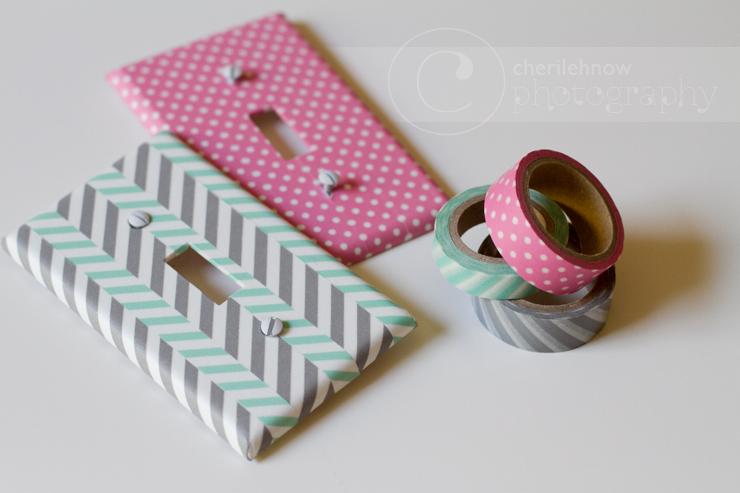 Add some personality to your room by decorating your light switch plate cover with patterned washi tape. Try mix and matching different colors and styles for a unique look! What’s your favorite way to decorate with washi tape? Let us know in the comments below!